We have just picked up the Dark achievement List for Human Fall Flat. As you might expect, the Dark level adds a gloomy level of peril to the already hazardous world of doughy buffoons. There are 4 achievements worth a total of 120 Gamerscore, none of which are secret. 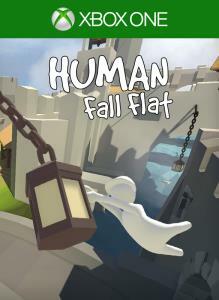 Human Fall Flat is developed by No Brakes Games and published by Curve Digital, and is part of the ID@Xbox program. It's also currently in the Xbox Game Pass subscription service. If you don't have a subscription, the game is also currently on sale. Check out local prices below.